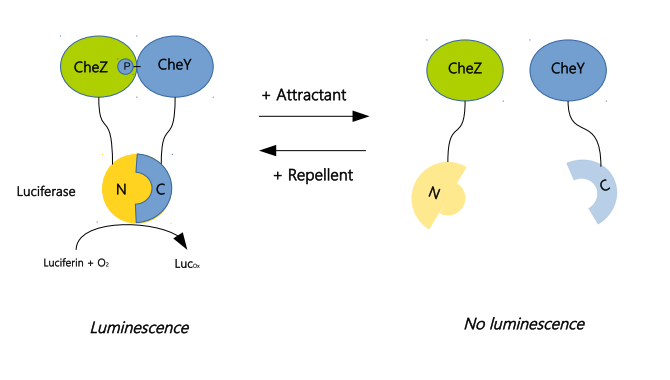 This construct aimed to test the efficiency of split Renilla luciferase, by performing a complementation assay using the chemotaxis associated proteins CheY and CheZ in E.Coli. To proceed to this complementation assay, we built a construct to test split Renilla Luciferase.The CheY was fused to the N-terminal part of the split, while the CheZ was fused to the C-terminal part. 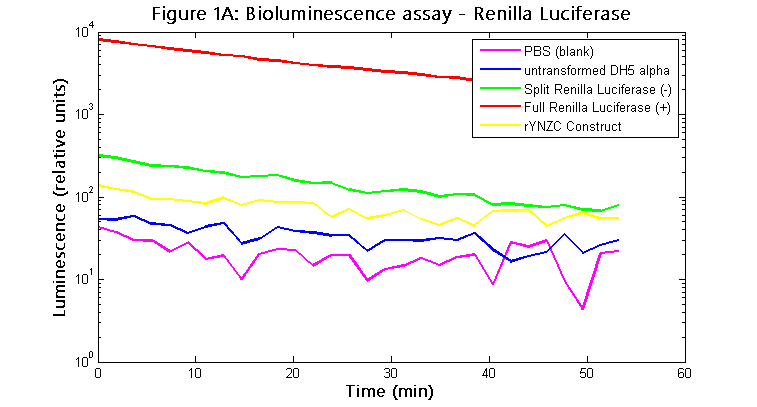 We used the full luciferase (BBa_K1486022) as positive controls and the non-fused splits (BBa_K1486021) as a negative control. S.K. Hatzios, S. Ringgaard, B. M. Davis, M. K. Waldor (2012, August 15). Studies of Dynamic Protein-Protein Interactions in Bacteria Using Renilla Luciferase Complementation Are Undermined by Nonspecific Enzyme Inhibition Plos One.